Even the pioneer of inclusive emojis, Apple is back at it again in IOS 11.1. 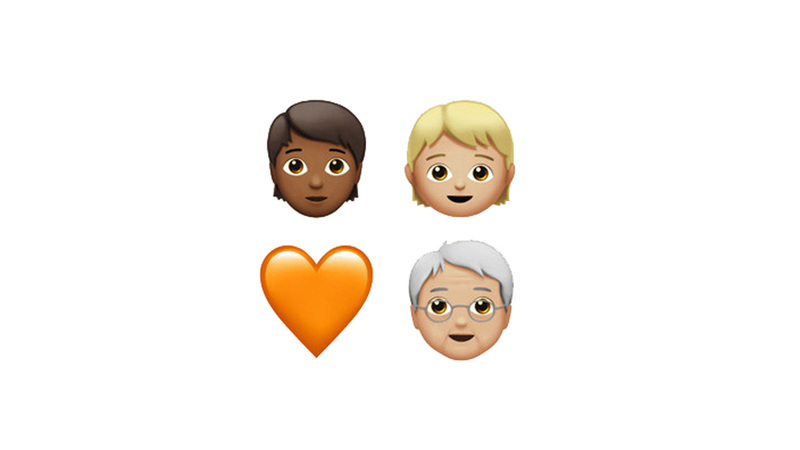 Not only now can I choose the skin colour and gender of my emojis, but now I can choose to have my emojis not prescribe to any gender at all. What really sets these new emojis apart is that they lack the clear “feminine” or “masculine” features, meaning it’s impossible to declare they are male or female. While for most these adorable little faces may seem like a fairly trivial inclusion, it is really important for parts of the queer community. This provides an emoji that can be really nice for the trans community, offering an emoji they can use that doesn’t feel like they are dropping hints if they are not out yet while not forcing them to use the emoji of the gender they don’t identify with, and it provides non-binary folks with an emoji they can actually identify with. This provides a nice, although small, source of self-affirmation. In a world filled with people who go out of their way to berate, abuse, and kill genderqueer people, a little bit of self-affirmation couldn’t hurt. Now it is not as if these little emojis will stop bigotry in any way, but they do, in their own small way, subvert the gender binary. They are a constant reminder than not everyone needs to be male or female. In the long haul to destroying the gender binary, they are a small but necessary step. While a small change it sends a large message; Apple recognizes or is at least willing to pander to the queer community to some extent. Even if unwittingly, this means Apple is supporting the deconstruction of the gender binary. The surprising thing is that it took so long to happen. It’s not as if emojis are inherently gendered. You can’t really claim “ 🙂 “ is male or female any more than I could claim “1” is happy or sad. Moreover the gendered traits involved in the male and female emojis are rather extreme; it is not as if all girls have pigtails, all women have that same parted haircut, and all men maintain a bushy mustache. I seriously don’t understand why it was felt that all the men needed mustaches, they legitimately just look weird. The gender-neutral emojis actually do a better job of portraying most cis-identifying people than the gendered ones. Which is convenient because it likely means lots of people will use these adorable emojis, thus normalizing them and the idea that we don’t need stereotypical gender expressions. Moreover, the emojis are just bloody adorable. I honestly don’t know how anyone could possibly dislike them. I will actually use these emojis in all non-emoji situations just because I feel like they inherently improve the quality of conversation. You may wonder why any of this particularly matters, and it is because emojis have effectively become a part of our written language as they have become very predominant in texts. Language influences the way we see the world, the categories we put things into, and the opinions we have. I’m glad these adorable faces are here to herald the end of the gender binary. Armed with the orange hearts also added in IOS 11.1, they’ll definitely improve my day, and I hope they improve yours.